With a stay at Hotel Central in Casablanca, you'll be a 5-minute drive from Hassan II Mosque and 8 minutes from Place Mohammed V. Featured amenities include a 24-hour front desk, luggage storage, and laundry facilities. With a stay at Hôtel Marjane in Agadir, you'll be within a 10-minute walk of House of Activities Association Club and Souk El Had. Free self parking is available onsite. 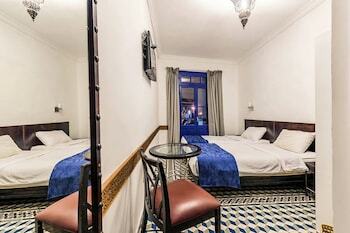 Located in Agdz, Dar Sofar is within a 15-minute walk of Eden Adventure and Municipalile Agdz. Featured amenities include multilingual staff and laundry facilities.